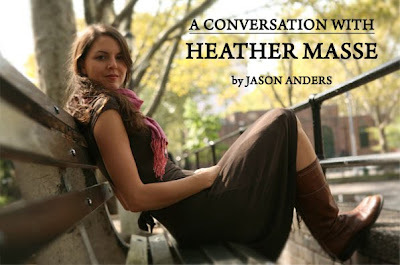 Heather Masse's newest record, Bird Song, has been described as "an autumn collection of acoustic pop and jazz songs"- which is fitting, seeing as how she has performed onstage with some of the greatest pop and jazz acts of all time including Elvis Costello, Wynton Marsalis, and many more. Before this album she was performing as a member of the Billboard-charting folk supergroup, The Wailin' Jennys- now she's released her first full-length solo album on Red House Records. 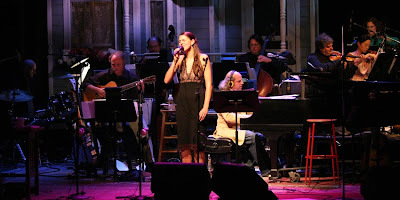 Heather was kind enough to talk with me about her career, inspirations, and stories from working on the set of A Prairie Home Companion, just days after performing on the December 19th Christmas special with Norah Jones and Martin Sheen. Jason Anders: Having come from such a musical family, and having grown up on old hymns and your mother a church organist, how do you feel the church influenced your becoming a musician- and do you recall your favorite songs that you sang growing up? Heather Masse: I sang at church every Sunday morning throughout my childhood, and teenage years. The community of the church, and the support of all those around me affected me greatly as a musician. Performing so regularly, in front of such willing and supportive friends and parishioners, built a strong sense of purpose and confidence in me. Growing up I was extremely shy- I often got an "N" for "needs improvement" in the social skills category on my report card in elementary school. So to have the opportunity to be in a safe community, receiving positive feedback on my singing was a real gift. I loved singing in choir, singing harmony, and singing all those old hymns. I think both my song-writing and singing have been influenced by the hymns and harmonies I sang in church. JA: You've mentioned quite the list of musical artists that have influenced you during a recent interview with A Prairie Home Companion- to accompany that list, do you have specific albums or songs that you love or that have inspired you? HM: There are so many songs and albums that have inspired me it's hard to choose a favorite- but recently I've really been enjoying Iris Dement's album, Infamous Angel. Her melodies are so strong and beautiful yet simple, and her lyricism heartfelt and genuine, but still holds an elegance to them. 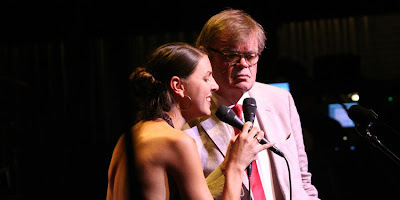 JA: Let's talk a little bit about the time you've spent performing on A Prairie Home Companion- how did you first become involved with the show, and what was your first time on stage with them like? HM: The first show I appeared on was with The Wailin Jennys back in May 2007 at the Wolf Trap National Park in Vienna, VA. I was so nervous! It was a thrill to be part of it all - especially after having been a fan of the show for so long. It was also quite frightening though, imagining the millions of listeners at home on top of the thousands in the audience that night. I still get a little nervous now, even after having been a guest on the show so many times. But that's what makes it so fun! You never know what's going to happen, the pressure is on, and the energy of the audience and the performers mirror that. That quality always makes for an interesting and successful show. JA: You've said that you were a fan of A Prairie Home Companion long before appearing on the show, so what was it like singing alongside Garrison Keillor- and also, what are you fondest memories overall with APHC? HM: It was and is always a blast! I especially enjoyed singing with Garrison at Tanglewood this summer. After the broadcast was over, we played an hour and a half encore sing-along with the cast and crowd. To be up there singing with Garrison and the sea of a crowd was so surreal. The energy created such a sense of oneness with everyone there. Overall, I have enjoyed every aspect of APHC. Everyone in the company is amazing at what they do, but also just great people. It feels like family and I feel so lucky to be part of it! JA: What do you like most about making music? HM: I love connecting to the players and the audience. There's a magical moment in music when it all comes together and suddenly there's nothing separating the music, the players, and the audience. It's all one thing, and that thing is what inspires me to sing. JA: Tell me about your new album, Bird Song- and also of some of your fondest memories putting it all together. HM: I recorded Bird Song last January in Pennsylvania with a great engineer- Kent Heckman, and an amazing band of musicians( Jed Wilson-piano, Karl Doty- Bass, Joel Arnow-drums, Lyle Brewer-guitar, Aoife O'Donovan-vocals) that I met while attending The New England Conservatory of Music. It's my first original full-length solo album and it was a real journey in the making. Through the process of writing the songs, recording, and then hearing them come to life, I learned so much about myself. The experience in the studio was incredibly collaborative, and I loved sharing the creative process of producing the album with Kent and my band. JA: Which songs stand out most to you from your new album as personal favorites to perform? HM: I really enjoy performing "Over the Mountain". It is a song I wrote while I was on tour with The Wailin Jennys. I heard that my brother was going through a really tough time back at home. Feeling a little helpless being so far away, I wrote this song hoping to reach him somehow. I'm reminded of that hope and love every time I sing it. JA: Do you feel more at home in the studio creating music, or live on stage in front of an audience? Also, what do you love most concerning both aspects of being a professional musician? HM: I feel most at home on stage in front of an audience. 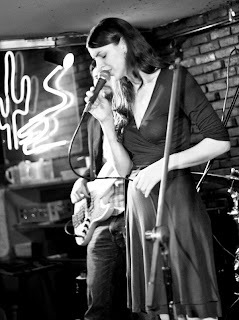 The live aspect of performing is what I love most about music. I sometimes find it difficult to make music in the studio because of the disconnect to your listener. You don't receive the immediate give and take that you do when you perform live, and I also find the endless possibilities you have in the studio a little overwhelming. 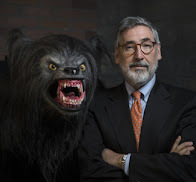 Even so, I really enjoy both and have been learning the ways in which they overlap and connect with each other in ways that are fun and interesting. JA: You have already shared the stage with some of the most legendary artists in the industry, ranging from Elvis Costello to the Boston Pops Orchestra- what are some of your greatest moments during your time establishing yourself as not only an acclaimed solo artist, but also as a member of the folk group The Wailin' Jennys? HM: Playing at The Paradiso with The Wailin Jennys in Amsterdam, (what a great city!). Singing an endless encore sing-along at Tanglewood with A Prairie Home Companion, singing with Wynton Marsalis at Town Hall in New York City, sharing the stage with Sheryl Crow and k.d. Lang at the Greek Theater in LA, Guinness for breakfast in Belfast at The Cathedral Quarter Arts festival with the Jennys... and just having the opportunity to do what I love! JA: Do you have any dream projects on the back burner that you eventually would like to produce? Also, if you could work with just one specific artist or producer, who would it be and why? HM: I would love to make a Christmas album at some point. This time of year I always realize how many great Christmas songs there are that never get played or just don't get played right! I would love to work with so many different artists... but it would be pretty amazing to make a record with Bonnie Raitt. She's my hero... and it'd just be great to hang out and make music with her!